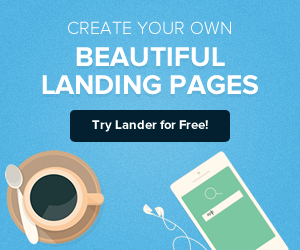 Now would you say, more landing pages means more conversions? Indeed, that’s true! Landing pages, as we know, are a critical component of any marketing campaign and organizations across the globe dedicate a huge amount of time, effort and resources to make sure their websites are highly optimized when it comes to them. They do this for the sole reason of improving their conversion rates and generating more leads. However, isn’t there always room for some more creativity? Well, there is. Marketers who know this rule always succeed in getting more traffic and convert leads faster than those who don’t. This is especially true for some seasons than the rest. For example, take the holiday season! This is not to say that you should wait around the holiday season to come and nudge you into being more creative but that around this particular time, it is all the more important that you pay heed towards your marketing efforts and definitely don’t leave out landing pages to chance. 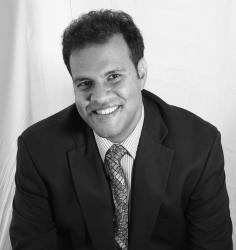 Marketing opportunities come very quickly, just like the holidays and also pass very soon right in front of your eyes. You shouldn’t miss out on a chance like this to convert leads and attract new prospects. So, it stands without reason that during the holiday season, it is all the more your responsibility to make sure your landing pages are well aligned with your campaign if you are expecting the shoppers to click on them. An image speaks a thousand words - we have probably heard this at least a million times. But the weight of these words (or pictures actually) could be much heavier than anticipated. If the hero image of your landing page doesn’t convey your product or service you want to demonstrate, no pictures or words would be of any use. Try not using a stock image if you are talking products and show the actual pictures instead. In-context imagery is what will do the trick in making people click on your carefully places call-to-action. They are always rushing - so make them run! You would agree that everybody on the internet has got a very small attention span and they are always hopping from one thing to another! So, how can you make use of this fact to leverage what you are selling? You can show them why their rush is worth it. When deals are time-sensitive and showcase a sense of urgency, buyers are highly likely to make the purchase. More than anything, they wouldn’t want to lose out on a deal, if they feel like they are going to lose out on it. Pretty straight, right? In the world of complicated things and unlimited choices, the least we can do is guide them straight. It simply means, making it easier for your prospects to convert. 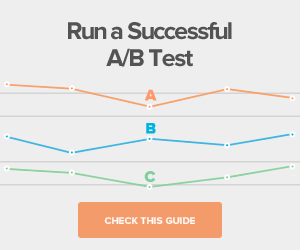 Imagine a conversion form where your prospect has to click many times to get what they want. They will get frustrated and leave the site. All your efforts of reaching out to them, grabbing their attention and even making them click would have gone in vain. So, make it easier for them and make the path to conversion only one or two clicks away, so they don’t have to hire reindeers to reach where you are actually taking them. Everyone expects a little treat during the holiday season, isn’t it? This is precisely true for your customers and prospects as well. If you are not going to prominently showcase your discounts and other offerings that might lure the buyer, it is as good as providing no discounts and offerings at all. 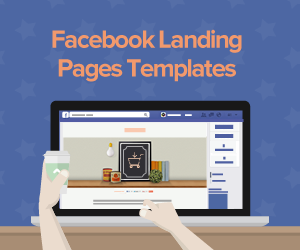 Promotional landing pages are one of the best ways to not only communicate what you are selling but also that you are really interested in selling it to a particular prospect or customer. So, either highlighting or displaying it exactly where it hits the eyeballs would be the best way to go about it. Sure you want to sell your best products and services but are you using the most relevant information to do so? If your prospect or customer is not sure what you are selling by looking at the headline and if they need further information on it and don’t know where to look, you are selling yourself short - and also your products and services. Half-baked information, misplaced CTAs, irrelevant images are some of the things you could do to make your customers run away from you, all the way to the North Pole. Okay, not so far but far enough for them to not come back anytime soon. Why does the whole of internet go red and white during Christmas and grow some big ears during Thanksgiving? Why do companies suddenly adopt a whole different color theme than what they have been using the rest of the year? It’s precisely because people relate and respond to those themes and colors. This is your way to lure your customers right off the bat if you want to indulge them more than ever - use the season’s colors. You know what we are talking about, don’t you? Say, you have got a very good deal for your prospects and you are all set to send them a $500 gift voucher if they make a purchase or sign up. You have got the theme and colors right, your CTA is well positioned, your information is relevant and your whole landing page only speaks of ‘click me’. But where are you going to send that gift voucher to them? Online, right? And what are the chances that they would have come across it on their mobile phone? According to studies, that will be about 80%. That’s a really big risk you are taking if you are not optimizing your landing pages for the mobile. With better mobile-targeting, it is your chance to grab their attention with both hands. Also the holiday cheer, but this is more like the cheer of your product or service they are going to spread if you enable the social sharing option. And why not? After all, your customers are your biggest brand advocates and it’s only when they share you on social media, that you’ll attract new prospects. Enabling the social sharing would be opening the doors for your customers to promote you in full glee. And what could be a better season than the holiday season!? Of course a lot of goodies, chocolates, treats, and smiles, right? 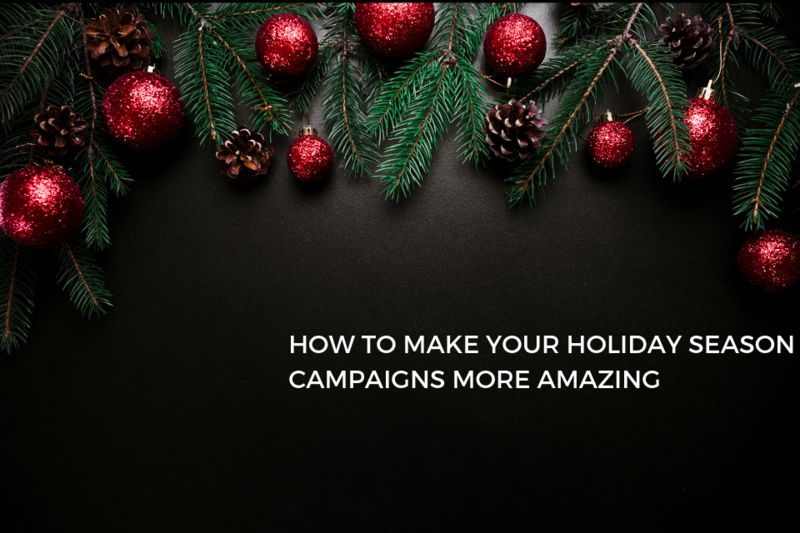 All of this is possible if you implement the best practices and spruce up your landing pages so you can optimize this holiday season. At the end of the day, you want your customers to be loyal to you and your prospects to keep converting into long-term customers. A good alignment between all the elements on your landing page would be proving just that, not only to them but also to Google. If you want to learn more about best landing page practices during the holiday season and how you can get the messaging right, here’s a little surprise for you. 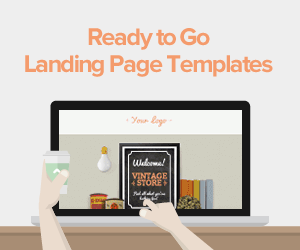 Click here and get the 100 top-performing landing page templates that you could use right away. All you have to do in return is fill in your name and email address. Did someone mention Thanksgiving! ?